If you're in the market for a manufactured/mobile home for your family, be sure to stop by M C Bank. 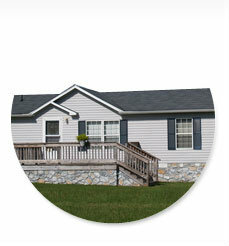 Our manufactured/mobile home loans offer flexibility in repayment and also affordability. Our friendly staff will work with you first-hand to make sure your terms fit your situation. And the processing is handled right here in the Tri-City Area, so you can get settled in quickly and comfortably.